This hand cream combines the moisturizing benefits of rose floral water, rose seed milk and wild rose petals with the strengthening properties of castor oil. Its light texture gives a pearly, satin finish and leaves behind the delicious Rose Nectar scent, for soft, smooth, beautiful hands right down to the fingertips! Apply to hands and nails. AQUA/WATER - HELIANTHUS ANNUUS (SUN_OWER) SEED OIL – OCTYLDODECANOL - GLYCERIN - BUTYROSPERMUM PARKII (SHEA) BUTTER, - ROSA DAMASCENA FLOWER WATER, - GLYCERYL STEARATE CITRATE – ALCOHOL, - MYRISTYL ALCOHOL - RICINUS COMMUNIS (CASTOR) SEED OIL, - CERA ALBA/BEESWAX, - SILICA - ROSA CANINA FLOWER EXTRACT, - ROSA GALLICA FLOWER EXTRACT - ROSA CANINA FRUIT OIL - ROSA DAMASCENA FLOWER OIL - XANTHAN GUM - MAGNESIUM ALUMINUM SILICATE - STEARIC ACID - MYRISTYL GLUCOSIDE - GLYCERYL DIBEHENATE - GALACTARIC ACID - SCLEROTIUM GUM - TRIBEHENIN - GLYCERYL BEHENATE - TOCOPHEROL – LECITHIN – POLYGLYCERYL -3 DIISOSTEARATE - LEVULINIC ACID - SODIUM LEVULINATE – CINNAMIC ACID - GLYCERYL CAPRYLATE - GLYCERYL STEARATE - SODIUM BENZOATE - POTASSIUM SORBATE –SODIUM PHYTATE - PARFUM/FRAGRANCE - GERANIOL,, - CITRONELLOL,, - LINALOOL,, - CITRAL,, - LIMONENE,, - CI 77019/MICA - CI 77491/IRON OXIDES - CI 77891/TITANIUM DIOXIDE. Packaging is attractive and girly! Only need to use a tiny bit so if you use too much it can take a while to absorb! Absolutely love love love this cream and am very grateful to have been selected to trial it! Thankyou!! I strangely love the scent of this product but I am sure most people would find the scent overbearing. The texture is quite nice when you first put it on and of course I am sucker for all things organic so thats a bonus. The moisturising feel does not last as long as I would like, it does not absorb as fast as I would like and the packaging is not the greatest. It is a okay product but there are better products that are more readily available and a lot cheaper. 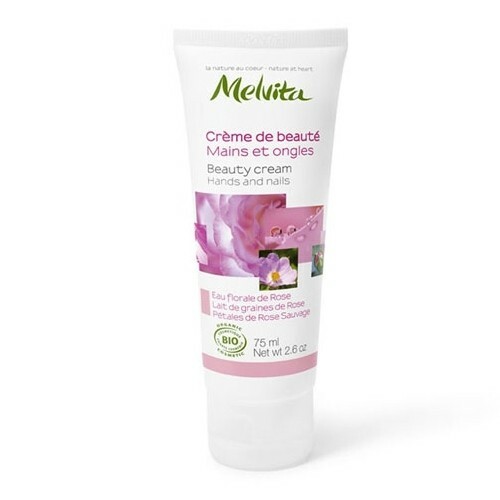 Being this 5th product I have sampled from the Melvita range I have not been disappointed with this hand cream at all. 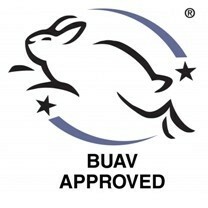 Rose based products are fast becoming some of the most effective products for my skin now I have just tipped the 40 mark. The product contains rose floral water, rose seed milk and wild rose petals and in combination they give fast and pleasing results. The product is white in colour and has a silky smooth medium consistency. The packaging is conducive to the product inside and is a soft squeeze tube with flip top lid on which the bottle stands (no more shaking the tube to dispense the remains of your product). The cream is dispensed through an average size hole which prevents over dispense of product. The packaging is 100% recyclable. When I test cream products for my face and hands, where there is no controlled measure pump, I tend to dispense a pea size worth of product to test the concentration. Most Melvita products have proven to be highly concentrated, therefore a little goers a long way. I was concerned that the texture of this cream would require me to use more product, however I was pleasantly surprised. As with all Melvita products less is definitely more! The cream instantly absorbs into the hands and leaves no greasy residue, shine or slip and immediately my hands feel softened, supple and well moisturised. The product has a beautiful, powdery, natural rose fragrance which I personally found much more subtle than other products of the Rose range. The scent dissipates quickly. The skin of my hands stays moisturised and soft for many hours giving an overall more youthful look to the hand area. Sadly I did not notice any significant changes in the nail and cuticle areas; however, they stay moisturised and calmed which is always a bonus in a hand product. I tend to use heavy duty hand creams designed for dry skin as I really like to feel and see the effects on my skin and whilst this cream is not the most moisturising hand product I have tried, it pays to remember that it does not claim to be this kind of cream. I feel it would be most suited to the warmer months, where less moisturisation is needed. I do however rate the effects of this light and simple product on the hands and there are significant enough results to be gained from the product to justify the price for me. Well done Melvita! Another beautiful product! 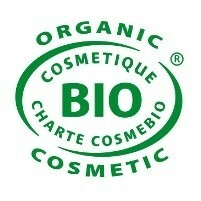 99% natural and organic ingredients that moisturize and sooth the hands without greasiness or residue. Recyclable packaging and practical flip top lid for easy and controlled dispense. Highly concentrated and long lasting. Beautiful delicate scent.